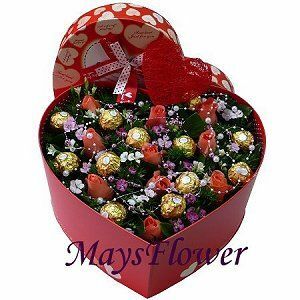 Click "Add This Item to My Cart" for the flower Bouquet, flower basket, floral gift that you want to order, then press the "Check out" button and fill in the online order form. You can use member or non-member to place flower order. Nevertheless, we encourage you to join us as members to enjoy more shopping benefits. Then, you will then receive our confirmation letter and we will delivery the item according to your instructions. 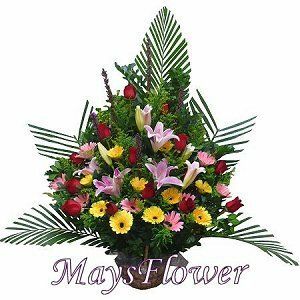 Please fill the flower order including receiver's name, phone number, delivery address, date, card message; send the message to 96002027. We will confirm back through Whatsapp. Write down the flower item number that you want to order, and then place your order by calling (852) 2388-0222. Place Order by Fax - Print out and fill in the order from, and then fax it to (852) 2388-0681. If the goods are damaged due to collision during the delivery, the flower will be replaced. In case of any dispute, the company reserves the right of final decision. Photo of Flowers and Hampers are for reference only. Please refer to the product description before ordering. Due to limited avalaibilty of Flowers during the special holidays such as Valentine day's period, we reserve the right to replace flower/packaging in each of our design with appropriate flowers/packaging of similiar value. It is recommended that you complete the order and payment two days before delivery date. The latest booking time is 5:00PM one day before the delivery date. Urgent order please order by phone. 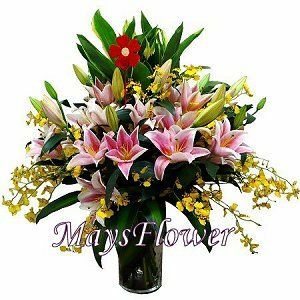 Flowers delivery can be arranged on Saturday and Sunday, but the flowers must be ordered and paid before the previous non-holiday 5:00PM.